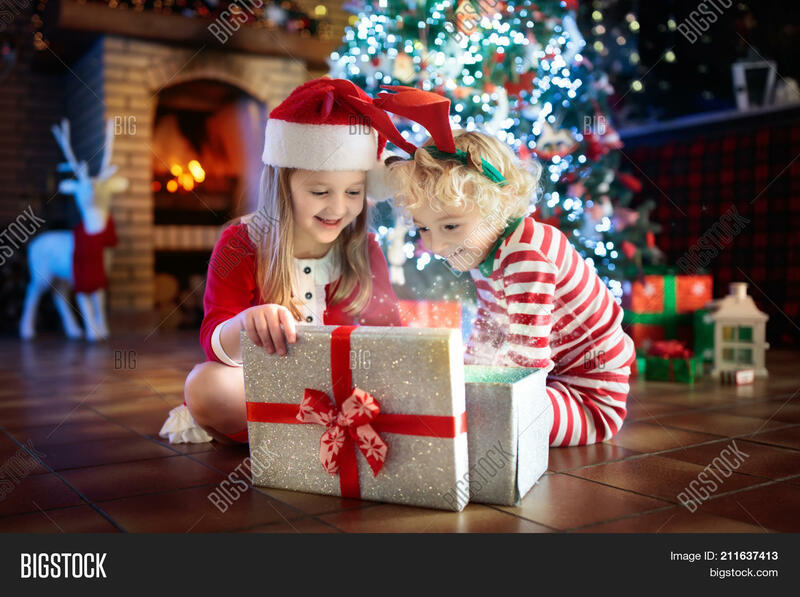 Children at Christmas tree and fireplace on Xmas eve. Family with kids celebrating Christmas at home. 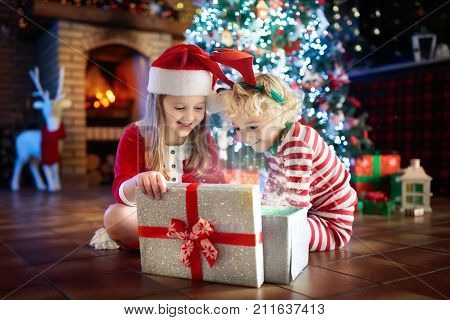 Boy and girl in matching pajamas decorating xmas tree and opening presents. Holiday gifts for kid.